Albert Ansell, the sixth of nine children, was born on 6th February 1877 on Ranmore Common, and baptised in St Barnabas Church on 2nd May. He was the son of John and Jane Priscilla Ansell; John was a gardener, presumably at Denbies House. Albert started at St Barnabas School on 21st June 1880, but the school logbook reports in May 1881 that “Albert Ansell returned to school again after being absent 6 months” (probably ill). He was awarded religious knowledge certificates from the regular Diocesan Inspections and had reached Standard VI when in April 1890 he “left school to go to work”. 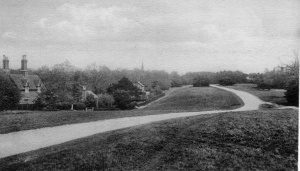 By 1891 Albert’s family were living along the road westwards from the church, at Fox Cottages. (A Sketch Map of Ranmore Common shows the approximate position of these cottages.) The fourteen-year-old Albert had followed in his father’s footsteps as a gardener, and by 1901 moved into Denbies gardeners bothy, along with two other young gardeners. 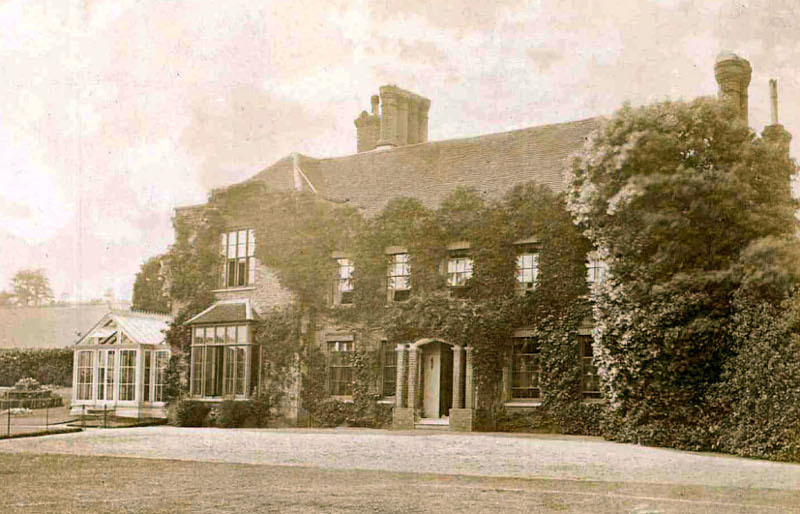 Subsequently he seems to have obtained a gardening job on another of the Cubitt estates, Birtley Court (House) at Bramley, near Guildford (the then home of the Hon. Henry Cubitt, where Albert’s elder brother John William had been working for some time). On 21st September 1907 Albert married Edith Doe at Holy Trinity Church, Bramley. He gave his age as 28 (actually 30), possibly because his bride was considerably younger at 20. (He maintained a similar discrepancy in the 1911 census when he claimed to be 31 to her 24.) Edith came from Middle Bourne, near Farnham in Surrey, the daughter of William Doe, builder’s labourer, and his wife Sarah, and she had several siblings. In the 1901 census, Edith’s parents are living in Bramley, probably how Edith met Albert who was working in the gardens of Birtley Court. By 1911 the couple are living at 3 Springfield Drive, Bramley with their two children Ronald Victor and Evelyn Gladys, and a boarder who worked in the “fruit gardens”. 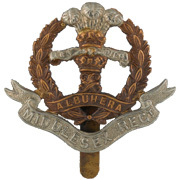 During 1916 Albert enlisted in the Middlesex Regiment at Guildford, but died of “accidental injuries” in France on 24th January 1917. 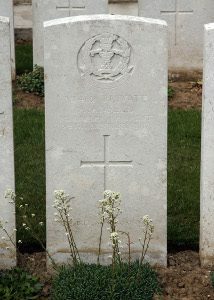 He was buried in Grove Town Cemetery in the village of Mealte, south of the town of Albert. 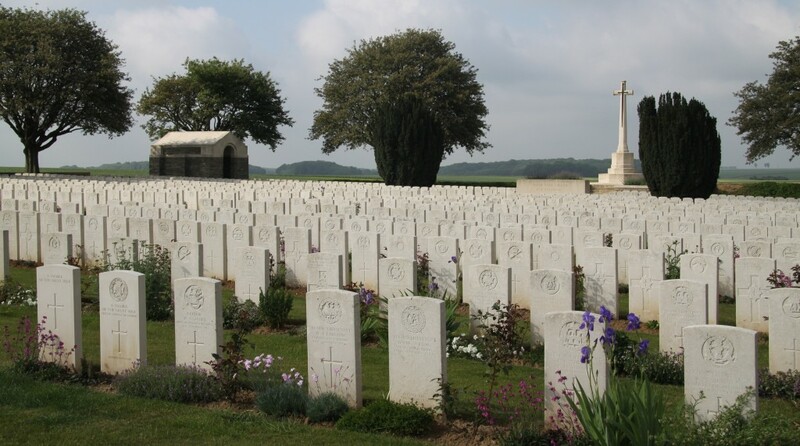 This cemetery was designed by Sir Edwin Lutyens and contained 1,395 burials, mostly of soldiers who died in the 34th and 2/2nd London Casualty Clearing Stations (known to the troops as Grove Town). He was awarded campaign medals: the Victory Medal and the British War Medal. Ten years after Albert’s death, on 26th February 1927 at Holy Trinity Bramley, his widow Edith married William Charles Dicketty, a builder’s labourer who had grown up in Middle Bourne, her childhood village. 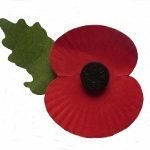 Edith died in 1945 in Wonersh, Surrey; William, by then a retired lorry driver’s mate, in 1964 at Burpham, near Guildford. Ernest and Edith Ansell’s son Ronald Victor, born 24th July 1908, was baptised in Holy Trinity Church, Bramley where his parents had been married. In 1927 he was a witness to his mother’s remarriage there. On 17th April 1930 he married Selma Baker at St Peter’s Woking, giving his profession as labourer and his address as the family home (3 Springfield Terrace, Snowdenham Road, Bramley). Selma was only 18, the daughter of a pedlar, her address being Old Woking, It is not certain if the couple had children. Ronald died in 1976 in Chatham, Kent. Evelyn Gladys Ansell, Albert’s daughter, born 22nd November 1910, disappears after the 1911 census until she marries Percy Scott in Hambledon district in September 1929. Again, it is unclear if Evelyn and Percy had children. She died in September 1971. Censuses: 1881, 1891, 1901, 1911, The National Archives (TNA).